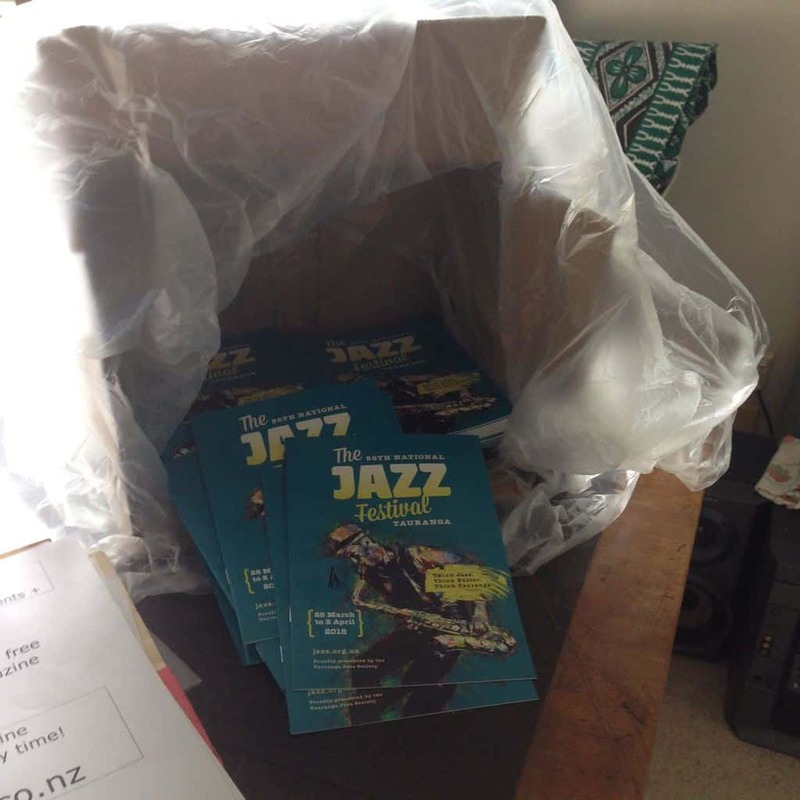 Just love the 2018 version of the National Jazz Festival programme – an abstractedly coloured edition. 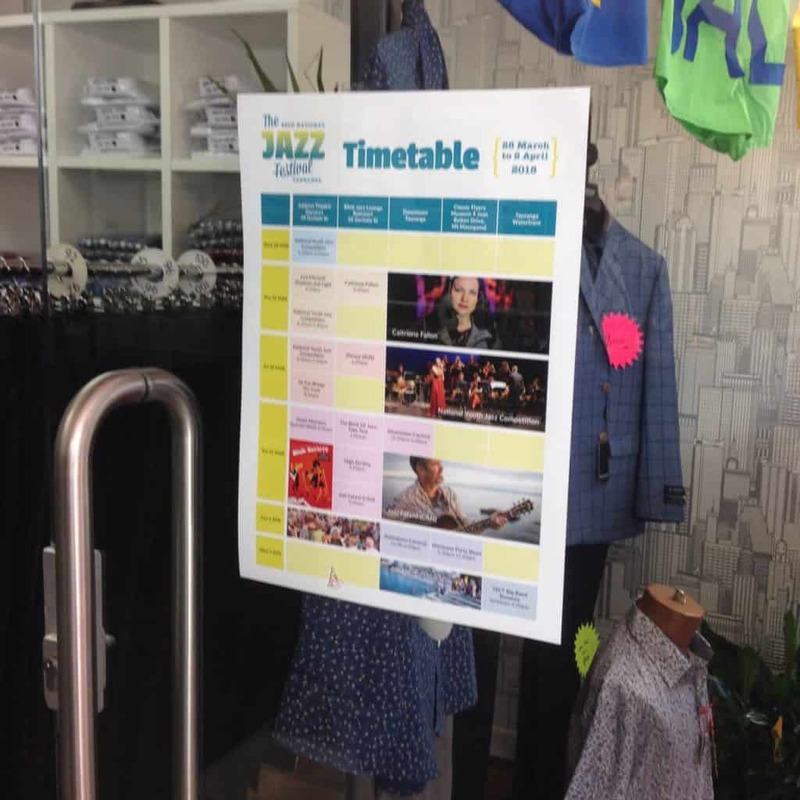 And as the saying goes: Think Jazz. Think Easter. Think Tauranga! I’ve been distributing the programmes on my regular driving route around the Western Bay. A box of 300 programmes is heavy, very heavy! Today it’s Wednesday and the box is almost empty and I can carry it with ease. THINK JAZZ. THINK EASTER. THINK TAURANGA! Here’s a poem I wrote as part of a set prompted by my work in the area of domestic violence. At the time of this incident the processes regarding the criminal prosecution of family violence matters were not as thorough and organised as they are today. The Criminal Court would often not be aware of the severity of an assault against a woman or a child and unknowingly immediately release “offenders” back into the community. With the client’s consent, we “appeared” with a group of Refuge Workers and shared with the Judge the reality of the assault and opposed bail. The “offender’s” lawyer was even more enraged than his client. I’d checked with two senior colleagues about the unconventional appearance I proposed. One eventually wrote to me and told me such an appearance was not permitted. On the day, the other, a longtime advocate of the rights of everyone, told me to just do it: it was a new Judge and he’d be too scared to stop me: and he was. On the second occasion this matter was called, I again asked this lawyer what I should do. He laughed and told me, the Judge had heard me the first time; he had therefore acknowledged the importance of the information, my standing and right to be heard. Everyone, including me, owes a debt to unconventional, persistent and justice-focused lawyers like the late Colin Amery. Previous ArticleWaiting for Doget: or not talking with Tauranga Writers Inc.